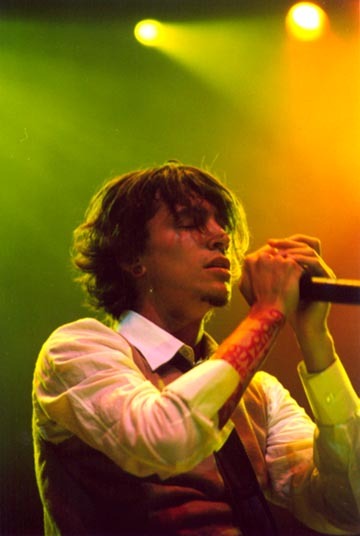 incubus, arco arena, 4.15.02. dont know who else played. oh hoobastank. kwod radio show. i had passes for hoobastank and they wouldnt let me out there, but they let me out for incubus. i wasnt mad. oh, and look at that, dirk lance on bass. This interview was around 99, or late 98. I am not too sure. This was behind the Colonial Theater, in Oak Park. Anyone from Sac should know about Oak Park. This venue back then was having some sick shows. The last one I saw there was The Red Chord, like two years ago, and before that was Killswitch Engage. Soulfly has played there, Neurosis, Papa Roach, Ghostface Killah a month ago, really, a lot of bands. The next album they recorded was Make Yourself. Around this time, Papa Roach was getting a lot of attention from labels, and went to LA for some meetings, and to check out NRG where they recorded their demo. I was out with them, and in the studio was Incubus recording that album. I believe Jurassic 5 was in the other studio there as well. Well here ya go. AMP: Alright, new album, soon, do you have a date when you are going into the studio? AMP: How many songs do you have finished now? 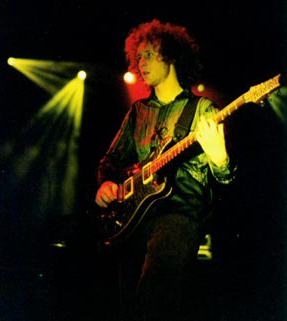 Jose: Completely, well none completely finished, but we have done a little bit of recording, like some demos, we did five songs with vocals, and then there is one we haven’t done vocals for yet, and then we got a few more that are pretty much worked out, as far as the music goes. We really have not worked the vocals into them yet. We still got about two and a half weeks to write, so we got some time. AMP: You guys toured with Black Sabbath a bit, how did the crowd like you? Jose: I was scared, at first, I thought we were gonna get a lot of things thrown at us, but we had snipers on stage. (he’s kidding), but it was cool. It wasn’t really, our crowd, but we don’t, discriminate (hehe). We were received pretty well, all of us were kind of worried about that, but we really didn’t have single show where we had a bad response. It was awesome to watch Black Sabbath every night, that was amazing. AMP: Ok, well Mike, last time you guys were here, you played a Sitar (an electric guitar, sounds kind of Middle Eastern), will we be hearing more of that on the next album? AMP: In S.C.I.E.N.C.E we heard tons of different styles on that whole album, in which I heard that you got the electronic, Mr. Bungle type of stuff when you were on tour with KoRn and the Urge over in Europe? Is there any other style that will definitely have an influence on this next album? Mike: Well most of the stuff that we have been working on, is not as all over the place like S.C.I.E.N.C.E. was, like Jose said, it’s been 2 and a half years since we wrote that album. Two and a half years is a long time to evolve, so I think a lot of the newer stuff just sounds a lot more focused, it is much better arranged, and parts are better put together. There is going to be a lot of ambiance on this record, like maybe not so much going on all the time, a little more room to breathe, we are going to definitely have really really cool DJ parts, and those type of things. It’s a definite leap from S.C.I.E.N.C.E. It will be obvious. AMP: Umm, what do you think of Jordan Knight and Joey McEntyre’s musical comebacks? Jose: I think it’s insane! 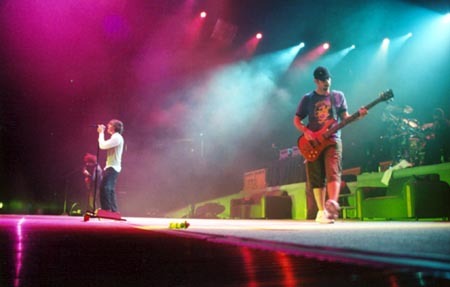 Mike: Yeah, its been a huge influence on us, and we tend to rip them off thouroughly. Jose: We would like to tour with them soon. AMP: SO what have you been listening in your free time? Mike: A lot of stuff Bjork, as always. Jose: I have been listening to a lot of, I got some new Radiohead CD’s, yeah I’ve just discovered them myself, I think they are insane, um, still some drum & bass stuff, I just got this new CD “FOR a HERO,” it’s kinda like live drum & bass, it has a whole lot of other players that play on the track, like strings and horns, and flutes, it’s just insane. AMP: Anything new happen to you guys, as a band, personal, anything? Jose: Just the opportunity to write new songs, you know, which is pretty rare. We have been playing those same songs for 2 and a half year now, and it’s like really refreshing to be off the road and be able to just concentrate on writing music. When we started rehersing for these shows playing our old song I realized that I was sick of it. AMP: Thats a real important revelation. Mike: Yeah, we love our old stuff, but it is time to move on. AMP: Last question, you guys ever done any covers? Jose: We have not yet, we might in the future. Mike: We have done fragments, but have never made it through a whole song. Jose: I don’t know, it’s a tricky thing. We don’t want to build our integrity off of someone else’s music, but, you never know. AMP: Alright, thank you very much.